Did you know that 1 in 12 British Pakistanis are unemployed, 1 in 9 British Pakistanis are underemployed and 1 in 5 British Pakistanis have no qualifications? We believe this can – and should – change. That’s why we’ve built this powerful platform to ensure the skills and talent in our community can shine. The British Pakistan Foundation engages, unites and empowers the UK’s more than one million British Pakistanis, by bringing them together through a single platform, creating networks and making a real difference to their work and their lives across the UK. Founded in 2010, we are London-based, not-for-profit, secular, and bi-partisan but run programmes nationwide in partnership with local community building organizations working for the BAME community. 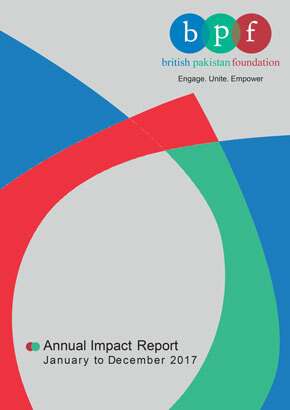 While boosting community building, the BPF also acts as a liaison between the diaspora and governmental and non-governmental organisations in both the UK and Pakistan. The British Pakistan Foundation engages, unites and empowers the UK’s more than one million British-Pakistanis, by bringing them together, creating networks and making a real difference. Our Vision is to become a single platform for our community, to serve and protect their best interests. Professionals and entrepreneurs are the heart and soul of the British economy and the skills and talent in the British Pakistani community are no exception. Our Business Professionals’ Programme is the ideal space for professionals, entrepreneurs and business leaders to exchange ideas, provide support and find like-minded collaborators. Right now, our Women’s Programme is helping talented British Pakistani women forge strong networks where they can share career advice as well as receive valuable peer-to-peer support, mentoring, opportunities to network and collaborate. The Young Professionals’ Programme helps hundreds of young people access vital mentorships and work opportunities, attend skill-building workshops and get early stage career advice from some of the leading professionals in their field. No matter what your field of expertise or area of interest, our programmes will help you connect with like-minded community members whose skills and experience can help you take the next step.